If you haven't already, please check out this week's PICK IT FOR ME post! The theme for this week is steampunk! It starts with an itch you just can't shake. Then comes a fever and a tickle in your throad. A few days later, you'll be blabbing your secrets and chatting with strangers like they're old friends. Three more, and the paranoid hallucinations kick in. When sixteen-year-old Kaelyn lets her best friend leave for school without saying good-bye, she never dreams she might not ever see him again. But then a strange virus begins to sweep through her small island community. As patients start dying, the government quarantines the island: no one can leave, and no one can come back. Those still healthy must fight for the town's dwindling supplies or risk losing any chance of survival. While everything familiar is crashing down, Kaelyn discovers a friend in a girl she once saw as a rival, and a chance at love with a boy she thought was an enemy. But as the body count continues to rise and the virus touches those she holds dearest, it's harder and harder to keep panic at bay. Soon Kaelyn finds herself challenging not just her fears, but her sense of what makes life worth living. 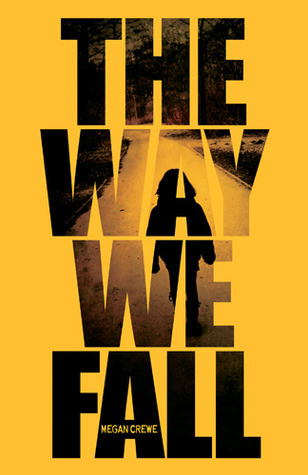 The heart-wrenching story of one girl's stand for hope and survival, The Way We Fall will leave readers fervently awaiting the next book in this standout new series. I also read a bunch of picture books from a set that I can't find on Goodreads. I really needed something quick and easy this week, and these were all pretty darn cute! If Under the Never Sky is like The Hunger Games I will need to give it a read. I hope you enjoy your haul this week. :) You got some great books this week. Hope you enjoy! I too got Under the Never Sky! \o/ And yay on Divergent--loved that one. Also cannot wait to read Frost. o: Enjoy! 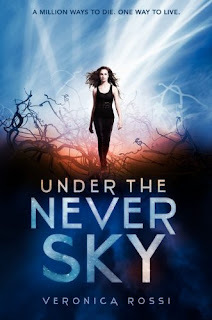 I have Under the Never Sky too! I need to read it, like, yesterday. :) And Fire! I LOVE Fire! I hope you do too! Great set! I really liked Girl of Fire and Thorns. I've heard great things about Rossi's book. I just finished Under the Never Sky. It was pretty good. A bit confusing though. More Sci-Fi than I expected. I loved Divergent. Can't wait for the new one. How do authors do it? YALSA Teens' Top Ten of 2011!